We ALL know a DILF, a silver fox, a seriously handsome Dad. Maybe he’s your Dad – bit weird, but we’re not judging you. Perhaps, he’s your partner? You’ve brought the most adorable tiny human being into this world together…and what did you expect, you’re both A grade babes. Realistically, it’s likely he’s your mates Dad. He’s the reason you’ve remained friends with said person for so many years. His resemblance to George Clooney is uncanny and his relaxed sportswear rule in the house is a rule you can absolutely run with. Regardless, of how you know this dreamy fella, you’ve heard of the phrase, sharing is caring – right? So, share with us, these handsome faces; their devilish good looks are for the world to see. 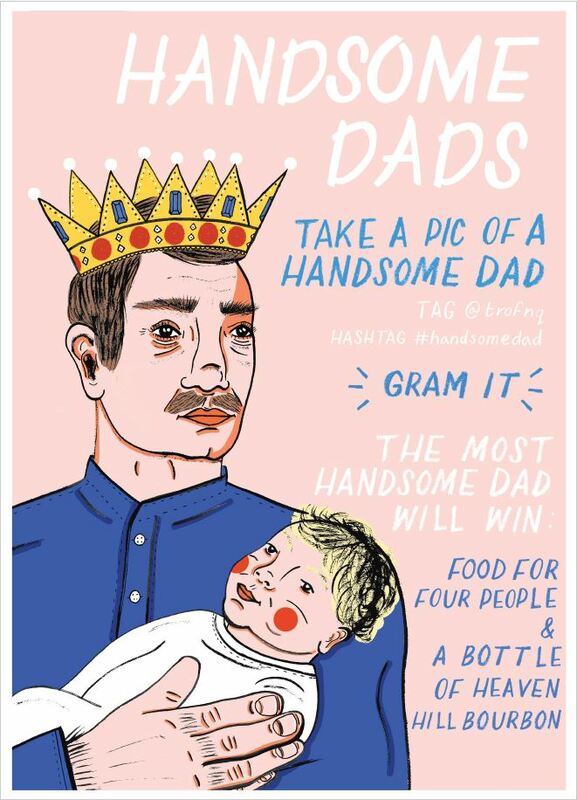 Do so, and be in with the chance of winning **FOOD FOR FOUR & A BOTTLE OF HEAVEN HILL BOURBON** for Dad this Father’s Day.